Sometimes I’m just not in the mood to eat what the rest of my family is eating. Turkey burgers were on the dinner menu the other night, but I was craving something different…I was craving veggies and a goat cheese salad. My veggie drawer has been busting at the seams lately. Our pick ups from our CSA have been full of zucchinis, kholrabi, cauliflower as well as these pretty green and yellow beans. While everyone’s burgers were on the grill, I quickly steamed up the beans and immediately threw them in an ice bath to keep them crisp. 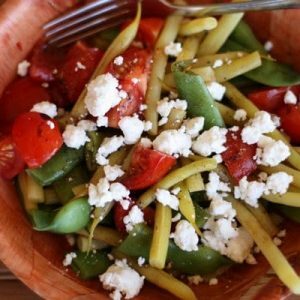 I quartered a few cherry tomatoes and added them along with some sliced almonds to the bowl of beans. Top with some crumbled goat cheese and a drizzle of balsamic vinegar and olive oil and you’ve got yourself a nice light spring dinner for one. 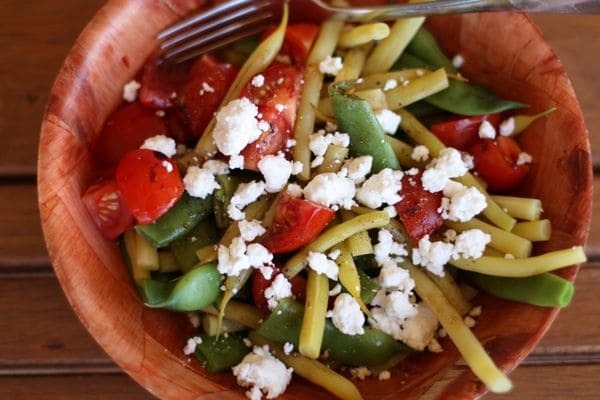 Combine cooled and dried steamed green and yellow beans along with tomatoes and almonds in a salad bowl. Top with goat cheese. 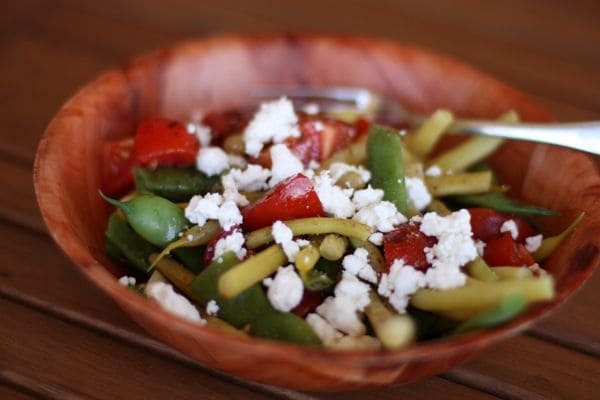 Drizzle balsamic vinegar and olive oil over your salad and season with salt and pepper to taste. 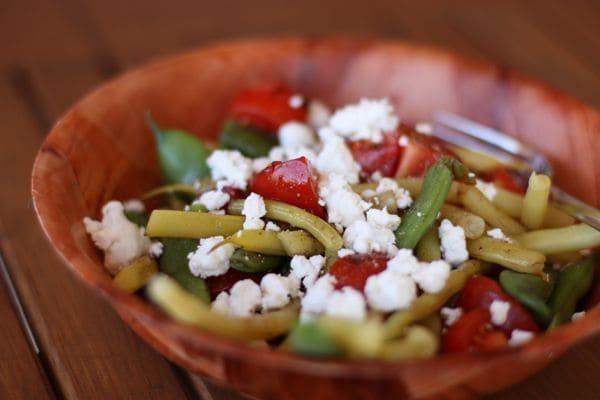 Note: this could easily turned into a larger salad to serve at a picnic or barbecue by increasing the ingredients – perfect for spring and summer! Follow AggiesKitchen on Instagram and show us what recipes you are making from the blog! Use the hashtag #aggieskitchen - I'd love to see what you are cooking up!